We got together with Food+Tech Connect, Eat Well Guide, and the Animal Welfare Approved to cultivate a list of stand-out food spots in town, and you might be surprised to hear it’s not all barbecue! 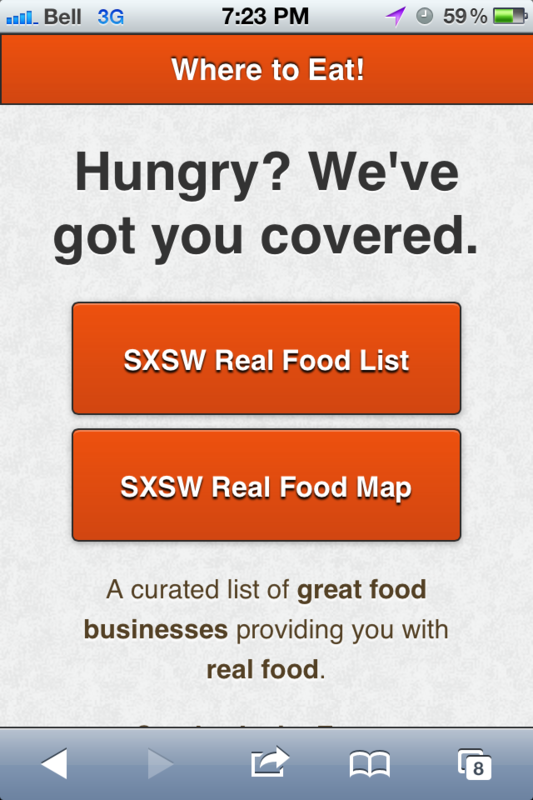 Head to www.foodtree.com/sxsw to install the app on any mobile phone and to consult the list while you’re looking for your next meal. 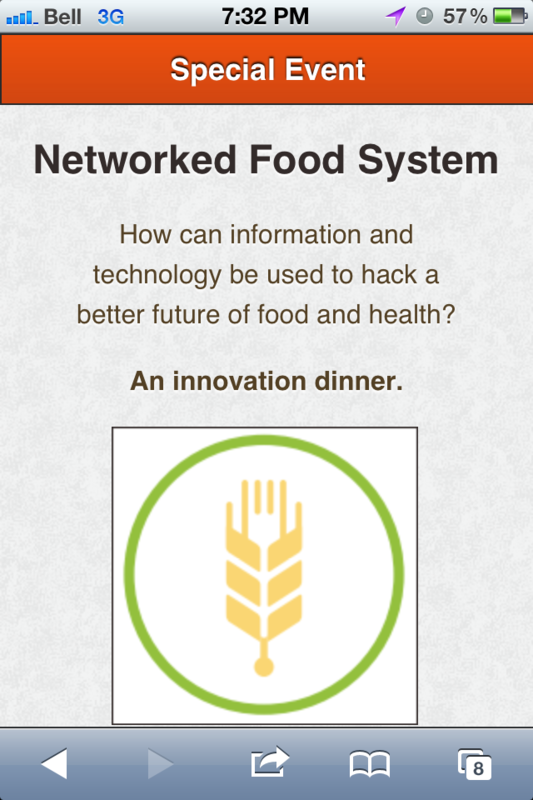 The collaboration on the mobile app culminates tomorrow night during a special dinner event called Networked Food System. The gathering will welcome innovators, entrepreneurs, government officials and food systems experts to a delicious dinner and conversation about the direction our food system is headed. 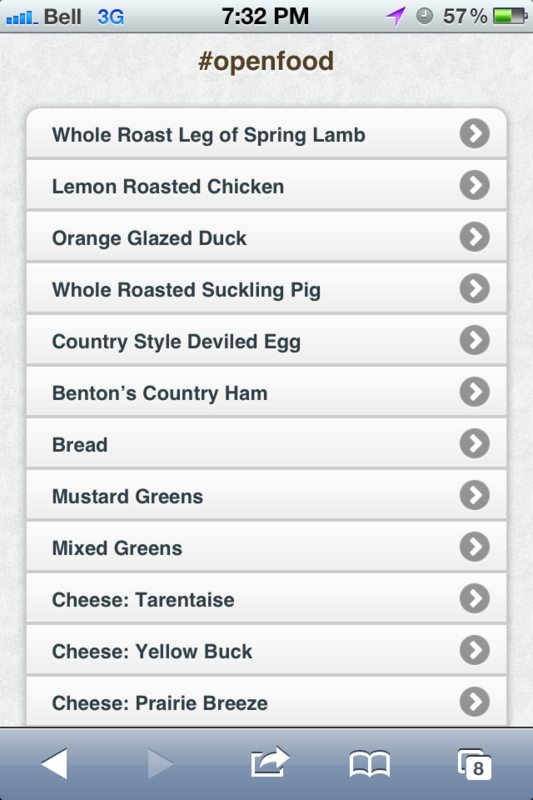 Our team tracked down the origin of all the food served during their meal and included that in the app well. 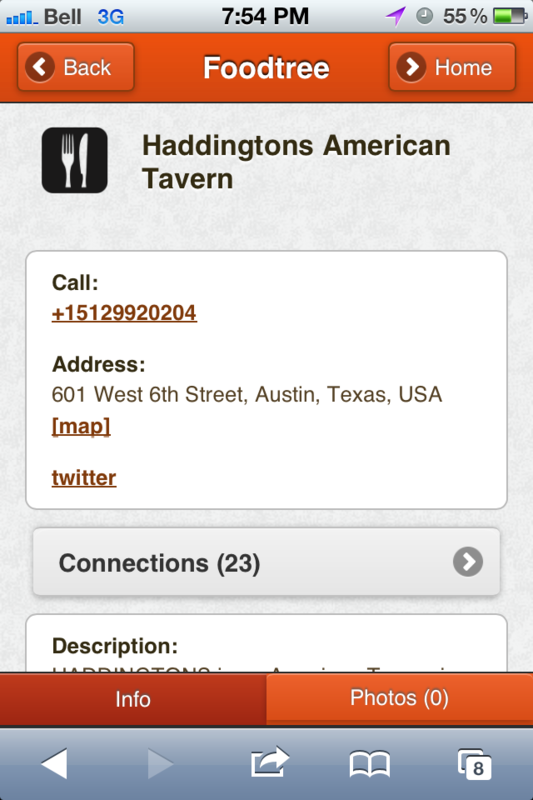 Below are some screenshots from the SXSW Where to Eat app and the menu being served tomorrow night at the NFS dinner. 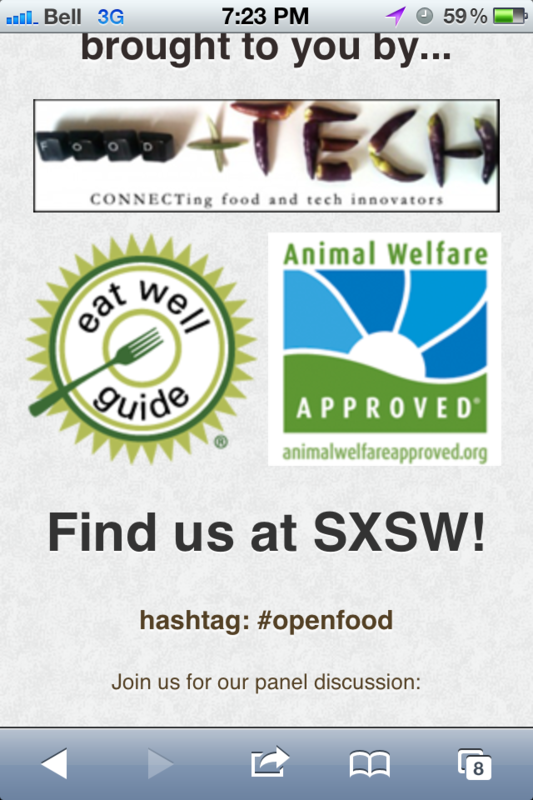 If you’re in Austin this weekend make sure you drop by the Better Food Through Open Data Standards panel tomorrow at 12:30pm to hear Anthony and a panel of experts discuss how recipe sites, restaurant menu wranglers, open government developers, urban agronomists, provenance geeks and food policy activists are collaborating on an interoperable standard. I wanted to drop in and reach out to the community to explain some of the things we are going to do so that you guys can start participating right away. 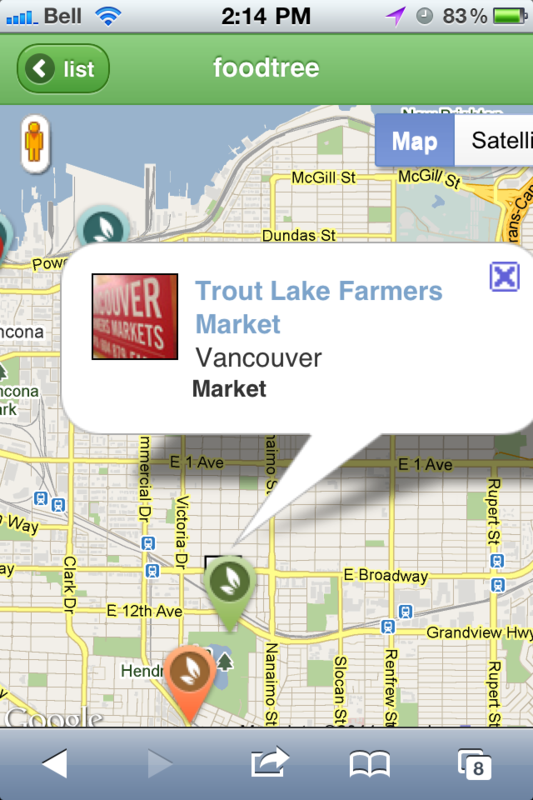 We’re building foodtree to help everyone find food that makes them happy. We’re building it so that the people growing, raising, or catching our food and drink have a great way to share their hard work with citizens. 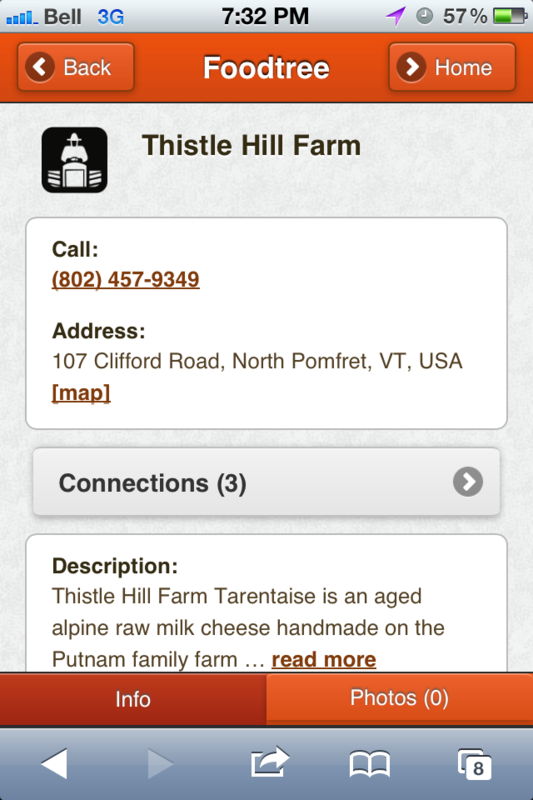 Simply throwing up a website that acts like a phone book for farmers wouldn’t accomplish these goals very well, right? The first thing we’ve got for you is a bit of a photo movement. It’s simple, really. When you’re out and about shopping for food, wine, coffee, or anything you’ll be consuming, take two seconds to look at the labels surrounding you. Especially look at the ones you see on whole foods; fruit, vegetables, meats, and the rest. Then pull out your phone and snap a photo. 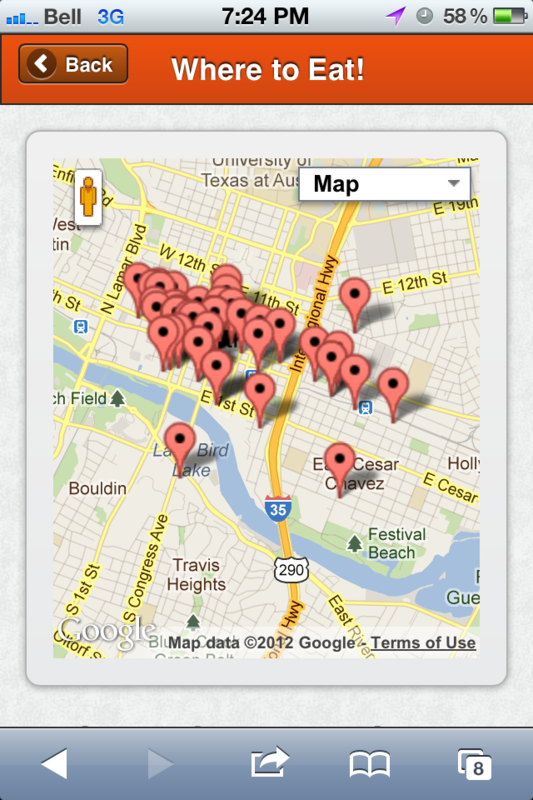 After that, put it on Flickr and tag it with “foodtree”. If you’re using an App that let’s you geotag the photo (that means you can tag specific locational data to a photo – this kind of functionality is still a bit rare on most phones) we’d encourage you to do that too. We’re going to do some pretty cool stuff with these photos. For now, it’s a way for anyone who likes the idea of knowing more about their food to immediately start participating in the effort to make finding that kind of information super easy. If you don’t have a Flickr account, grab one here (they’re free, and a great way to manage your online photos). Did you know you can email your photos to Flickr? And hey, while you’re at it, join the foodtree Flickr group! As we approach our goal of launching a first version of foodtree over the next week or so, I wanted to drop in and reach out to the community to explain some of the things we are going to do so that you guys can start participating right away.